Eurgh the weather in London is unpredictable as always, it has been raining on and off as of late. This was the view from my bedroom at around 7.30 this morning. You probably can't tell, but I took the photograph just after the clouds had forced out a smattering of rain, and it stopped as abruptly as it had started. Unfortunately for me I had to go to the supermarket with the clouds in a rather unstable mood, unable to decided whether they wanted to soak everything all day or just play backwards and forwards with the idea, indecisive or what?! Although, that said I do actually enjoy the rain, it's nice and peaceful to sit inside, with a blanket and a cup of tea, and just watch it cascading down the windows in its own rather melancholy fashion, odd contrast there I know (yeah, I'm an oldie at heart). Anyways, here is what I actually wore, and no I did not go out in socks, I did actually wear some black plimsoles. And yes, I am wearing a purple shemagh (keffiyeh if you will). To be honest I'm somewhat rather annoyed with the overdone trend of the shemagh and its print as of late. I know everyone from your little brother to that annoying guy with the freaky laugh at work/uni/school wears them. I've personally been wearing them for about five or six years now, and everytime I go to Middle East region or a family member goes, I make sure to get some lovely colourful or traditionally hand made cotton ones. Although that being said, what with their overplayed and overdone reputation, I may have to put them on ice for a year or two before I can rock them again. Thought I'd give a little history of the scarf, given as most people merely know them as 'that Arab scarf', or a fashion trend. The traditional keffiyeh is a square piece of cloth with a distinctive pattern desgin worn by men in the Arab region. It is actually worn by the vast majority as a head wrap, keeping the wearer cool in the arid conditions of the desert and keeping sand from blowing in the face. Seeing that many Arabs still actually live in the desert and rural areas, alongside the modern nomads, the neccessity for this garment can not be overlooked. Although many of us would probably wear less in the heat, those living in the desert actually wear thin layers of cotton/wool, along with head wraps. This may seem rather dichotomous when thinking about the heat, however they actually help to keep the body cool through making the wearer sweat, which then evaporates on the cloth and gives a refreshing sensation. The material is therfore important as a cotton/wool blend will actually facilitate for a faster evaporation, keeping the wearer cooler and being more practical. The scarf design sold in the West, is actually only one of literally dozens of designs. Each design actually differs according to geographic region and respective localities. The main colours are either a black and white (with either colour being the dominant one depending on the locality) or red and white, which is most strongly associated with Jordan. The varying patterns and wearing of the scarf in Bedouin society actually acts as a symbol of status and signifies the hierarchy of importance. Most recently in their history, the shemagh has been associated with the Palestinians, acting as a national symbol of pride and solidarity against the Israeli Occupation. Although the scarf's association was with the rural and desert dwellers, the 1960s saw the adoption of the scarf by those living in the city. Its media image was cemented through the wearing of the scarf by Yasser Arafat, who actually had a specific personal method of wearing it. It has since become synonomous with 'terrorism', due to its deep historical, and therefore identifiable, connections with the Middle East in general. A rather narrow minded media view I find, given its embedded place in the history, traditions and cultures of a a number of countries or regions in the Middle East and Africa. Oddly enough, the scarf has actually been employed, in camouflauge colours, by the US Army in the region due to its practicality for the everyday soldier. Indeed its use in the army actually finds its roots in Vietnam, a time during the Cold War, when relations with the Middle East were made close to avoid them falling into the Communist sphere. Wow, thanks for the historical note. And I also enjoy lounging in with a cup of tea and a good book during rainy days. I love this look!!!! And I think we have the same scarf?? But probably not, because mine is cheap (from Forever 21!) Thanks for the comment. PS: I always say the sky is crying when it rains.. lol. I too enjoy the rain...when I am not in it! I love lounging during rainy days, it is so comforting. Thanks for the history! I've been wearing them on and off for a while now and I curse the annoying guy and girl at work and school who wear them. You have put together a great outfit! The leather jacket is supreme. Thanks for the comment, I am going to get them this morning! i wear those scarves sometimes and i'm not as obsessed with them since every single person and their mom started wearing them. i almost wore one today, actually, because it would be perfect for the on-and-off hot/cold weather, but it interfered with my camp name tag! anyway, lovely outfit and your jacket is great! I hope the rain is gone when I'm going to London. 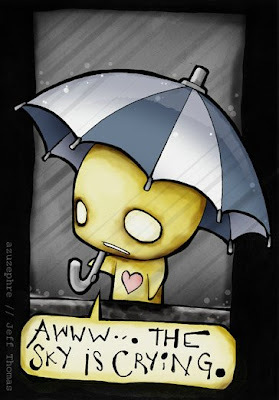 There is no good umbrella, haha! I am glad someone finally gave us the history lesson on this beautiful type of wrap!! I adore the pop of purple! Awesome write up, I gotta admit I pretty much just skip to the pictures but I actually read it. Me and my friend scoured Marrakech looking for those scarfs a couple of years ago, she's half Arab and still calls it the Arab scarf! i didnt know that about the scarf, cool. wanna link up? Excellent excelllent review of the shemagh, now that is fashion with proper context! i really adore him, and i love the jacket+scarf, i almost bought a jacket like that from Urban outfitters it was from the mens section too, is that where its from? This outfit is insanely gorgeous. I love purple! This is a great look. I especially love the fitted jeans! Hm and the purple scarf is just perfect.